Upon enrolling in a course with any educational institution a student is entering a legal agreement under common law, in which they agree to abide by the conditions of enrolment (including meeting stated payments), in exchange for the service offered by the institution in the delivery of the course. Please note, changes in your circumstances are not the responsibility ADL and neither can ADL be held liable for changes in your circumstances. In a situation where a student wishes to cancel or change their enrolment, and as a measure of goodwill, ADL will allow the following options. A student may only take up one of these options once. For a period of 14 days from enrolment, a refund will be given - less postage and printing cosst where applicable, plus an administration fee of 15% (minimum fee of £50.00) calculated on the total amount of tuition fees paid at the time of cancellation. The student must notify the Academy's administration department in writing and the letter be received within the 14 day period, either by fax, email, mail or delivered in person. If you apply for a refund after 14 days our refund policy does not apply. However, you will have the option to change your course to another without incuring additional charges. The onus is on the student to ensure and confirm that written notification of withdrawal is lodged. The academy will not be responsible for messages going astray. Note:If course notes have already been sent to the student; they must be returned before the refund is paid. For a period of 30 days following receipt of the material; a student may apply for special consideration; to swap their course for another course. The application for special consideration must be made in writing (not by telephone), and be accompanied by a letter explaining why the student wants to change the enrolment. These options only apply if the student has not yet submitted any assignments. An administration fee of £50 will apply in these circumstances. The school will provide credit for monies paid for the original enrolment, against the new enrolment (ie. new course or person), but will not give any monetary refund or credit against other purchases. Following written notification by the school of acceptance, the old course notes must be returned to the school within 1 week for it to be valid. For a period up to 2 months following receipt of the material, a student may apply to transfer their enrolment to a friend, relative or colleague who they have found, and who agrees to take over the enrolment. An application for special consideration must be made in writing (not by telephone), and be accompanied by a letter of explanation. This application only applies if the student has not yet submitted any assignments. An administration fee of £75 (plus postage and handling costs ) will apply in these circumstances. At any time during enrolment the student may apply to defer their studies for a 6 or 12 month period. Such an application must be supported in writing by documentation that explains why they cannot continue their studies for a period of time (eg. a letter of explanation). Recommencement fees may apply, please contact the school for more details. Disclaimer: Every attempt is made to ensure all information from the academy is accurate and that the student has attained the competencies taught in a course, at the point of their assessment. Beyond this point, the graduate is responsible to maintain their acquired competencies, and apply acquired knowledge and skills in a way which is appropriate to the unique characteristics of each application. 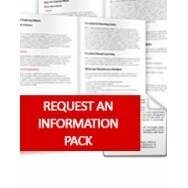 This will release the school from any liability, action and claims of whatsoever nature in connection with, or arising from any such information, instruction or advice, given by any student or ex-student, whether directions given during the course are followed or not. Courses, course notes and materials are not to be sold, loaned, copied, or used in any way outside of the pursuit of studying the course by the person who is enrolled in the course, unless permission is sought and granted in writing by the principal. 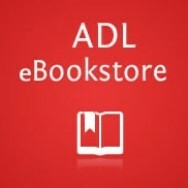 Copyright: ADL is licensed to offer all ACS Distance Education, Australia, courses worldwide. 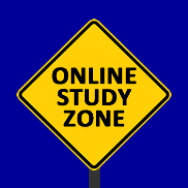 All ACS Distance Education courses are copyrighted by ACS Distance Education, Australia.